Cattle ranchers rely on the health of their cattle for their income. Circumstances outside of their control can seriously harm this livelihood. When livestock fail to thrive, a rancher can lose income due to stunted growth, reduced milk production, illness, injury and death of cows and bulls alike. At Domina Law Group, we understand your struggles and we are prepared to fight aggressively to protect you from injustice. 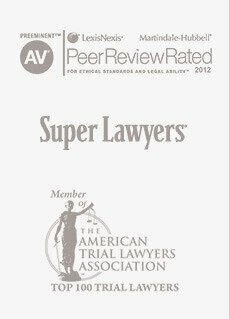 Many law firms are profit-driven, but ours is dedicated to the representation of those who have suffered misfortune and face a daunting adversary. 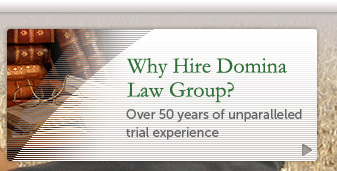 Our legal team has decades of experience and has handled hundreds of cases across the nation. We are able to maximize the chance of success and give our clients as much confidence in ourselves as we have in their case. If a case deserves to be heard and brought to public awareness, we will take it on regardless of its chances of success. Each of our lawyers stands for justice and will give their all for each and every case. 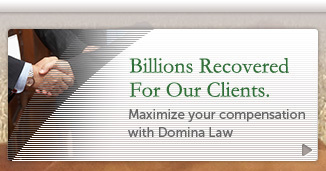 Domina Law Group has numerous successful case results over the years and has even handled cases before the Supreme Court. 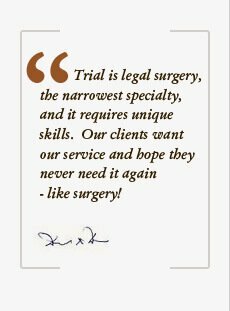 Trial law is what we do, which is why we claim "Trial Practice, Not Just Talk." Our team could thoroughly study every detail of your case and present the strongest possible argument, to fight for the results you need and deserve. If you have suffered loss as a cattle rancher, do not hesitate to speak with us and find out whether or not you have a case for compensation. 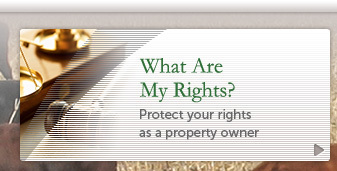 Our firm is prepared to take your call and schedule a free initial consultation. We treat each client with respect and concern, regardless of their background or their moral, professional or political persuasion, so call now to learn how we could help. We would love to hear you out and provide you with initial options for representation. You may also fill out our free evaluation form and submit your information online. We will study your situation and get back to you in a timely manner. 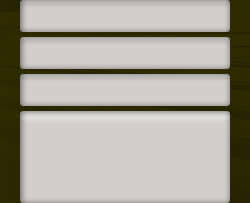 The sooner you retain our services, the more time we can dedicate to reinforcing the strength of your case, so contact us right away for skilled representation from a cattle attorney.